One of the many housing sections in Wyndhurst is The Parks, where you can find many varieties of homes for sale in Wyndhurst. Homes in Wyndhurst sell quickly, and they retain their value because of the popularity of this community. When you buy a home for sale in Wyndhurst it comes with a low HOA fee, which includes maintenance of and access to the common areas. They call Wyndhurst a "New Old-Town Neighborhood" for its classic appeal and small-town ambiance. 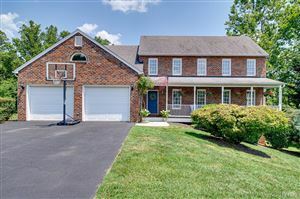 If you're a seller in Wyndhurst and want to know what your home is worth, visit my exclusive web site at LynchburgHomes.SmartHomePrice.com for an INSTANT computer-generated price.